For Rone Forrester, life as a high school student is a roller coaster ride. Though he’s intelligent, good-looking, and athletic, true happiness eludes him. He’s lost his mother to cancer, his hypercritical father is a tyrant, and he spends most of his free time taking care of his little brother, Eli. And to make matters worse, Rone begins to have romantic feelings for his best friend, Carson Harrington. When Rone is inadvertently outed, his life swirls into turmoil. His father’s homophobia and Rone’s embarrassment at the thought of facing Carson force him to flee to Los Angeles, where he hopes to find a safe haven. Instead, he quickly learns that every moment is dangerous for a homeless teenager. 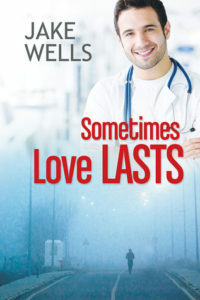 As time passes, Rone navigates through multiple challenges, makes friends who love him for who he is, works hard to achieve his goal of becoming a pediatric surgeon—with all its inherent triumphs and tragedies—and overcomes a failed relationship. Ultimately, his journey teaches him that in order to fulfill his dreams, he has to come to terms with his past. I enjoyed this book. It was a fairly easy read with a likable narrator/main character. As far as I’m concerned, Rone was what made this book good. The plot was so-so, nothing spectacular. But I really liked Rone, and he was easy to root for. I found myself wondering what exactly the point was. If it was to highlight the problem of homeless LGBT youth, it didn’t quite make it there. Rone has a pretty charmed life, actually, despite his three months or so of being homeless. I wouldn’t say it’s a typical experience of LGBT youth who have been kicked out or left home. There were definitely some moments which came across as judgmental toward homeless youth who don’t have the advantages Rone has. This isn’t really a traditional romance, even though it’s listed as one. It’s much more about Rone’s journey to adulthood. I like stories which are less about the romance, so that was fine with me, and I liked a lot of the other things that happened. I appreciated the sweet happily ever after. I think the parts about homeless youth could have been left out and were only in there because this book is for charity (the proceeds go to a youth shelter). That part could have used more support and more research. Rone’s experiences are hardly typical, and anyone looking for a hard-hitting story about LGBT youth on the streets of LA should find a different book to read. Rone himself gets 5 stars (I loved him). The story gets 3. It all averages out to 4 stars. This book was about learning to accept who you are and standing up for yourself. This book was excellent and I fell in love with Rone. It does take time to get used to Jake Wells writing style but I feel that one you do you will really enjoy this book. It was exciting to see the situations that Rone encountered and all with hopes that that he would get his HEA. I also loved following him in his dream of going to med school. I loved when Conner and Rone meet again and enjoyed seeing Rone struggle to find his courage again and the struggle he was able to overcome. Overall this was a really great book even though many things happen off page. This book right here touched my heart in so many different ways. There is so much heartache, guilt, feelings of hopelessness, hope, misery, acceptance, regret, and love all in this book. I found myself crying at times and then I found myself having hope that things will in deed work out. This book is so emotional that I could not put it down once I started reading it. And it was so realistic that I could picture these events taking place. Rome captured my heart from the very beginning of this book. I could understand the feelings he felt especially the helplessness and feeling like he had no where to turn. This man went from having a home with a little brother that he loved so much to being found out he was gay by his bigoted father to having nothing and no one. This is one exceptional man to be able to pick up the shattered pieces of his life and never give up hope. Carson is another man that is truly exceptional. He could have held against Rone the things that occurred in their past but he doesn’t. Even when he is heart broken he still picks up the pieces and carries on with his life in hopes to one day know what really happened. This is truly a story about love concurring all and fate stepping in to right the wrongs of the past. Jake Wells did a superb job on this book and should definitely be proud of this book. It is truly an exceptional read. I really wanted to love this book. The blurb ticked all of my boxes (rough beginnings/happy twist of fate/compassionate doctor/small town boy becomes big city success). But this was much more of a “telling” than a “showing” book. Roan narrates his rise from abused small town boy to successful LA surgeon without stopping to take a breath. I really enjoyed the start of this story. Roan’s fear, his desperation and his courage to leave a very difficult situation was inspirational. The eclectic group of people who supported him in LA were equally inspiring. The younger Roan felt more real and more fully developed than the older Roan. Because not many (if any) homeless LGBT youth are picked up almost instantly by wealthy benefactors and given the privileged second chances awarded to Roan, the second part of Roan’s story felt like a Disney fantasy. The series of serendipitous events that wrapped up this story were a little too unbelievably saccharine for me. When they were combined with the breathless pace of narration, poorly sketched later characters and Roan’s slightly smug narrative voice, I found myself falling out of love with Roan’s story. I appreciate that this is a story written in aid of a very worthy charity, so I’m sure many readers will purchase this to support the charity for homeless LGBT youth. But while I appreciate the effort for charity, I remain underwhelmed by this modern fairytale. He’s adventured through the far corners of the world, has a successful career practicing medicine, and shares his life with an amazing partner. Though eating chocolate continues to play a prominent role in his dreams, the icing on the cake has been writing about falling in love in a world where equality is only beginning to be embraced. When he’s not playing doctor, Jake can usually be found traipsing local hiking trails with his dogs near his West Coast home, in the kitchen trying to replicate some sumptuous dish he saw on one of the cooking channels, or sipping a glass of fine red wine with his friends.